The continued internal conflict in the world’s youngest nation has been blamed on external influence. 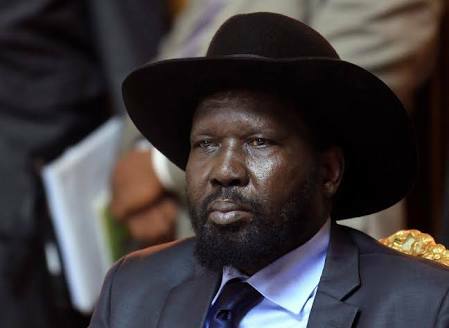 JUBA – South Sudan president Salva Kiir has said his country was being punished by foreign powers for not paying for their support in the long civil war against neigbouring Sudan. The South Sudanese leader said it is a culture among African people to pay back without being reminded of the support they received and the time of need. “The country is suffering today because of the punishment we are getting from western countries. They think the support they gave during the war of liberation struggle is not being returned,” Kiir told members of the African Union Peace and Security Council last week. The president did not, however, name any of these western powers he hinted on. Kiir, a former rebel commander, said he and his colleagues are aware of the support the western powers and African leaders had given the people of South Sudan during different times, but stressed that the continuation of ongoing civil war did not necessarily mean his government does not recognize and appreciate foreign support. “We know countries in the west and in Africa which stood by our side during the war. We have mentioned them in our functions and through formal engagement and when writing to them on official and private matters. We do this because we value the support they gave us but this does not mean they teach us how to recognize and appreciate the support,” further stressed the South Sudanese leader. “It is an African culture and traditions that one returns what he received from the giver without being told to pay back. Because of this, we tell our friends in the West not to take sides in a dispute between the same people, brothers and sisters”, he added. President Museveni has on several occasions said South Sudan’s independence was paid for by several forces. 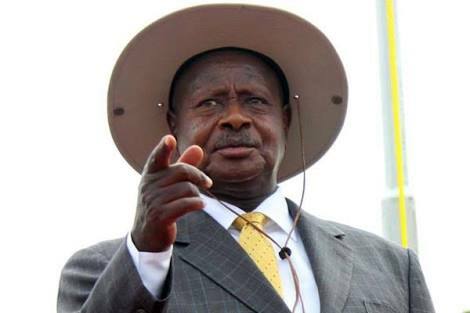 Uganda’s President Yoweri Museveni has on several occasions reminded the government of South Sudan that the current status of independence was achieved as a result of joint efforts from various African forces. In a meeting in 2016 with South Sudan’s former political detainees led by Rebecca Nyandeng, the widow of the fallen freedom fighter Dr John Garang, Mr Museveni rebuked the manner in which South Sudan’s affairs have been handled by its leadership, stressing that the country seceded from Sudan with collective support from the East African region. “Meles Zinawi (late Ethiopian prime minister) , Isaias Afwerki (Eritrean president and myself, fought and shed blood in Sudan and compelled Bashir on the table to accept self-determination and independence for the people of South Sudan and now there this claim that the Dinkas liberated South Sudan. Were we also Dinkas. What about 98.9 per cent voters in the referendum who endorsed your independence and those Americans and Europeans who supported you? Were they all Dinkas?” Mr Museveni was quoted then. The country however fell back into a civil war two years later in December 2013 when forces loyal to then First Vice President Riek Machar clashed with government forces. The clashes led to a long protracted civil war that has left thousands displaced causing one of the world’s biggest refugee crisis. 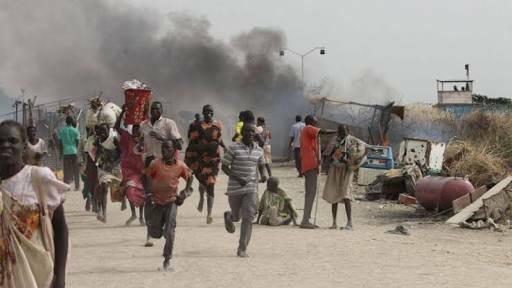 The South Sudanese civil war is an ongoing conflict in South Sudan between forces of the government and opposition forces. In December 2013, President Kiir accused his former deputy Riek Machar and ten others of attempting a coup d’état. The fighting has killed tens of thousands of people and displaced millions of the country’s about 12 million population.